The Scottish company Campers Scotland has presented a full house on wheels, made on the basis of the model Mitsubishi Delica D:5. A travel minivan is called the D:5 Terrain. In this car appeared suspension, removable table, kitchen, and roof with a lifting mechanism. The engine here is a 2.4-liter petrol MIVEC, developing 170 "horses" with 226 Nm. The engine functions together with the variator. The minivan is provided with a full drive with a clutch for connecting the rear axle, as well as an electric blocking of the differential. 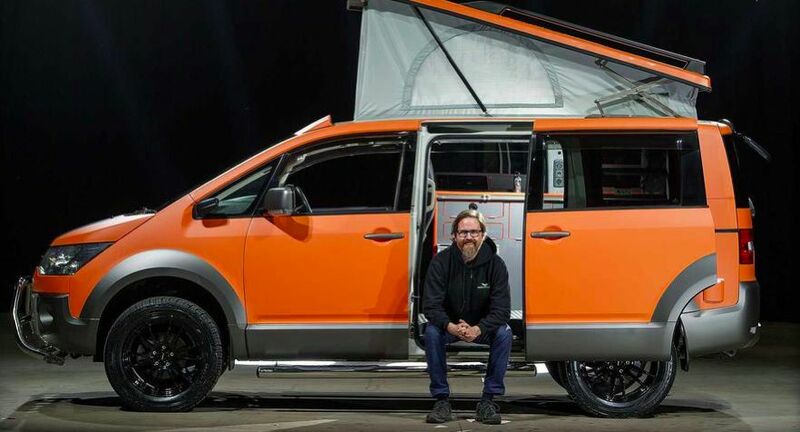 The camper has sleeping places for 4 people, an ultrastrong lithium battery, solar panels, removable storage containers, a USB station, swivel front seats, lockers, etc. Optionally, Campers Scotland provides a minivan with a reinforced base, more powerful brakes, increased suspension, and protective plates.